ONE OWNER. NO ACCIDENTS, Clean Autocheck. 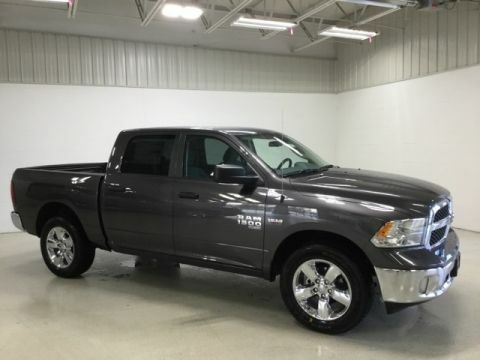 A Ram 1500 CLASSIC BIG HORN Crew Cab 4X4 in Granite Crystal Metallic with Black/Diesel Gray Cloth Interior. 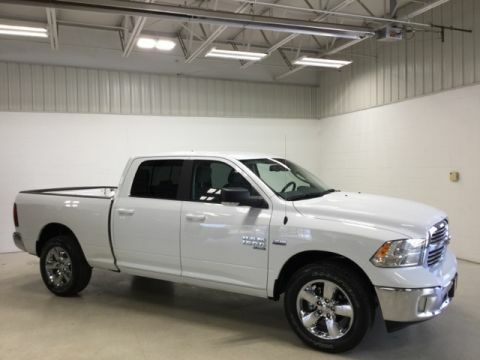 KEY FEATURES Include: BIG HORN REGIONAL PKG, REMOTE START, PARKVIEW REAR BACKUP CAMERA, REAR POWER SLIDING WINDOW AND A CLASS IV RECEIVER HITCH. 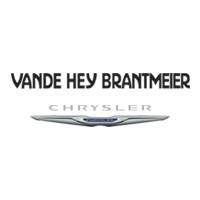 PERFORMANCE FEATURES Include: 5.7L HEMI V8 Engine and an 8 Speed Automatic Transmission Capable of 21 MPG HWY. 3.21 Rear Axle, Engine Oil Heat Exchanger, HD Transmission Oil Cooler and HD Engine Cooling. FACTORY WARRANTY UNTIL 2023. INTERIOR FEATURES Include: 10 WAY POWER DRIVERS SEAT, Power Windows & Locks, Tilt & Cruise, Air Conditioning, AUTO TEMP CONTROL w/DUAL ZONE CONTROL, Overhead Console w/Garage Door Opener, HD Radio, Uconnect 4C with an 8.4" Touchscreen Display, 6 Speakers, Apple CarPlay, Google Android Auto, Integrated Voice Command w/Bluetooth and Steering Wheel Mounted Audio Controls. 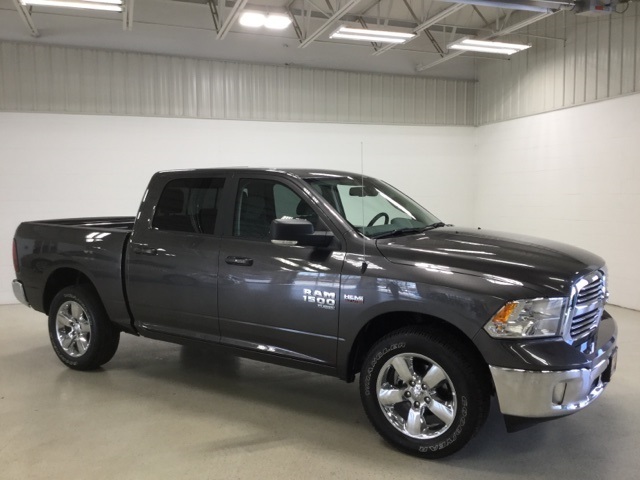 EXTERIOR FEATURES Include: 20" Aluminum CHROME CLAD Wheels, 5' Cargo Box, LOCKING TAILGATE, POWER FOLDING/ADJUSTABLE Outside HEATED Mirrors with Supplemental Signals/Courtesy Lamps and LED BEDLIGHTING. 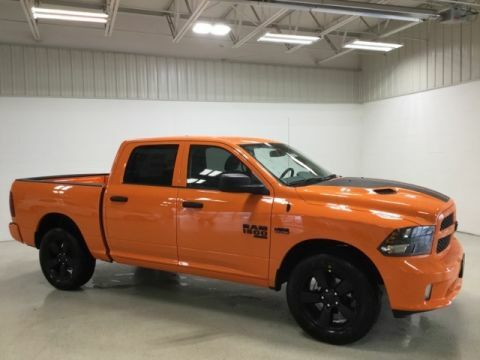 SAFETY FEATURES Include: PARKSENSE FRONT/REAR PARK ASSIST, Front Fog Lamps, Security Alarm, REMOTE KEYLESS ENTRY W/ALL SECURE, Electronic Stability Control, SENTRY KEY THEFT DETERRENT and Anti-Lock 4 Wheel Disc Brakes.